Carousel Coral: Erre Due Volumizing Waterproof Mascara Review. 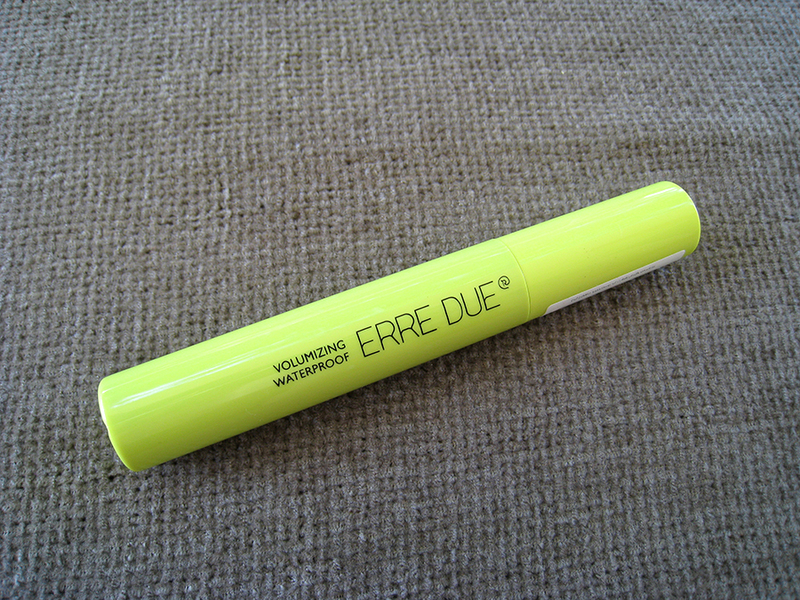 Erre Due Volumizing Waterproof Mascara Review. 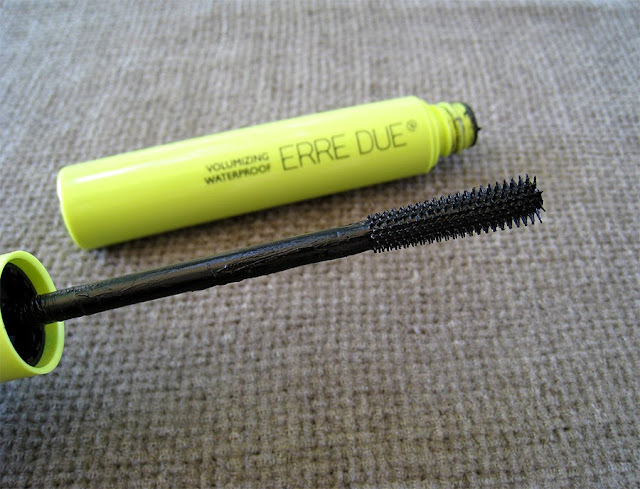 A couple of months ago I received this mascara from Erre Due, which is a greek company, to try it out and see if I like it or not and share my opinion about it. They also send me a blue one but the review is about the black one, since I never wear colored mascaras. This mascara comes with a plastic brush, which is not too long or thick which I personally like, I prefer smaller brushes because they give me more control, this one grabs and brushes all my lashes really well. As you can see the spikes are longer on the outer end than the ones on the inner side, that gives to my lashes more of a feather look. 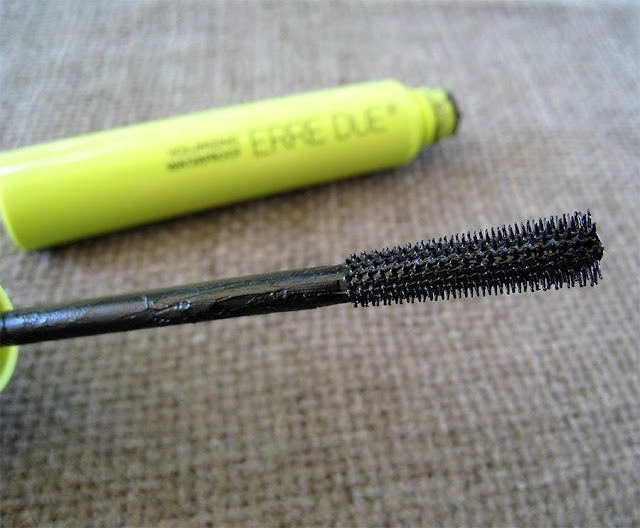 Now about the texture, when I first opened the mascara it was really and I mean really wet. It literally took 30 minutes to dry on my lashes, because everytime I was touching them my fingers was a complete mess, and that is something that is not suppose to happen with a waterproof mascara. It was very difficult to use it so I gave this mascara a month to dry out a bit so I can properly use it. After a month I noticed that the mascara still took a little time to dry out, but not 30 minutes like before, it took about 10 minutes, which is still a long time but I'm a patient person. 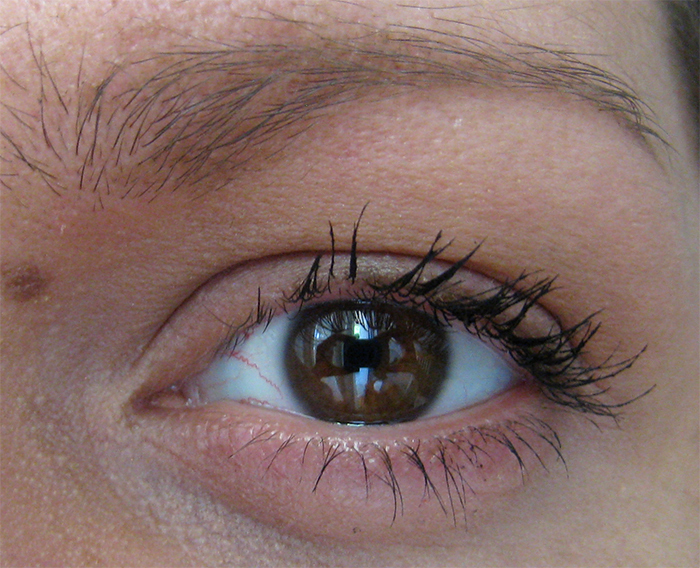 Even though I had problems with the texture of this mascara, I really enjoyed the result! It gives length and amazing seperation to the lashes, it doesn't give much volume even though the mascara is called "volumizing", but to be honest I didn't expect it anyway because of the brush, brushes that are that small and plastic never manage to give volume to my lashes. But the most exciting thing, at least for me, is that it holds an amazing curl, I never experienced something like that with another mascara before! I always use an eyelash curler before I use a mascara, and after I use this one my lashes look even more curled and it stays on until I remove it, which is pretty amazing. Girls with straight lashes like me, know that finding a mascara that does that, is really hard to find. I know that waterproof mascaras are supposed to keep your lashes more curled than the regular ones but I've tried other waterproof mascaras in the past, even though I'm not a fan of them, and didn't give me that result. It retails for 14 euros and you can find it only in Greece at stores like Hondos Center and Galerie De Beaute. It's not a cheap mascara but all the drugstore/high street mascaras here have pretty much the same price, like the Loreal and Maybelline ones. -It keeps my lashes really well curled, until I remove it. - It gives a feather look. -The brush is small and the spikes grab all the lashes and brush them. My only and huge minus of this mascara is the texture. It has a really wet texture, it takes like forever to dry out, and you can really cause a mess on the lower lashlines. And even after a month it takes about 10 minutes to fully dry out. I didn't want to give this mascara such a low rating, because I really do love the result it gives, but the texture just ruins it all, and that's the main reason why I wouldn't buy it in the future. But another reason for not wanting to purchase it, is that I almost never wear waterproof mascaras, so I would barely use it. If you've tried this mascara before, let me know your opinion about it. Όντως ωραίο αποτέλεσμα αλλά κακό το ότι στεγνώνει τόσο αργά δυστυχώς. Πάρα πολύ καλό review! The Body Shop HoneyMania & Colour Crush Launch.